This weeks winner threw for the 2nd most yards in a single game, and his team needed every last one of them. Matt Schaub was 43-55 (78%) for 527 yards and 5 TD in a barnburner in which arguably the best team in the NFL needed just about the full overtime period to beat the worst team in the NFL. His longest pass of the day was a 48 yard TD strike to Andre Johnson to end the game in overtime, after both teams scored field goals in their first possession, then scuffled until the final Texans drive. 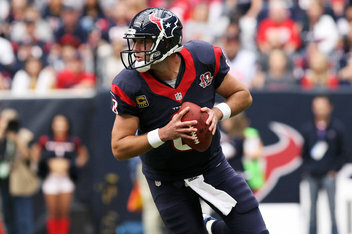 Schaub writes his name in the NFL record books, and is a worthy Longhorndave Sportsman of the Week!